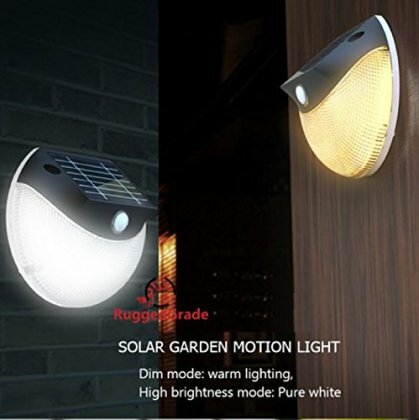 MOTION SENSOR- Stays Warm White (3000k) until motion is detected and then is color changing, Goes Bright white (5000K). QUALITY AND WARRANTY - High Quality Design has an IP65 Waterproof rating and can be used anywhere. 1 Year Warranty.